Just saw this while I was on Tumblr. Honestly part me of me is all like HOT DAMN let's try it and the other part is like NO THATS A WASTE OF FOOD!! I don't know, pay me no mind lol. I might give it a try, my hands are always dry and peel more than bananas do in between seasons. I did have this ocean salt scrub that did wonders for my hands, but haven't been able to find it and that was also two years or so ago. Anyway I just told Madea about and I told maybe we'll give this a try have a nice summer spa day, since we don't go any place special haha!! I spruced up the wordage so those of you not familiar could relate to it. I would say as a recommendation for the razors part, why not go buy the one where it gives you a replaceable head/cartridge. Men, you're on your own there sorry, lol. Ladies I have a soft spot for Soleil always did and always have, this is my current one and I've had it for months, cut is always clean and dulls slowly which is a plus. Next time you are feeling down, about to binge, going on a date, or just need to pamper yourself, do this. I just did it and I can not stop rubbing my legs together. It feels like I paid for that over expensive pedicure at the salon. Soak your legs in the tub for 5 minutes. 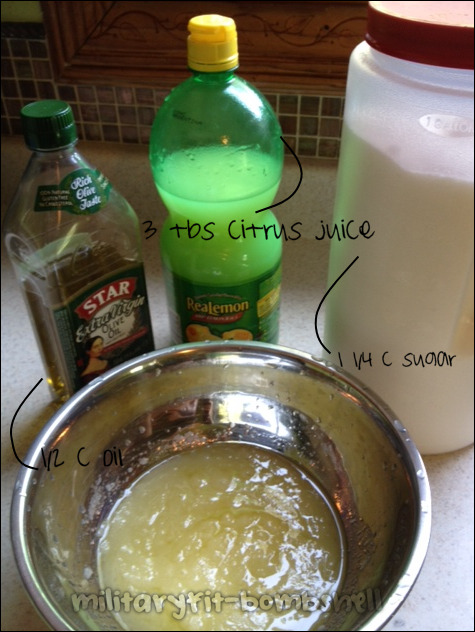 Rub some of this mixture all over your legs. The sugar will help rub off all dirt and dead skin. Rub, rub. Feels like a mini massage. Rinse it all off, shave again. I would use one razor per leg if you have two. You will be rinsing this razor a lot. I was GROSSED out by the amount of dead skin I was “shaving” off. It was insane! Trust me, you’ll see. Rub your legs again! Second coat of wax, oh yeah. Rinse off! You can use a mild soap to help get some of the oil off. Lotion your legs up, and feel the silkiness! Now this isn’t just geared to ladies…. guys, if you want to get lucky, I suggest you offer to rub your ladies’ feet with this mix too. It feels awesome, and when you get lucky, you will be thanking me that her rough grandma feet aren’t cutting your legs, if ya know what I’m saying… hahaha. I have silky arm pits too!! Try it, I swear, You will want everyone to touch your legs. If you try this, let me know! Definitely you already know that sharing is caring! !